that are clinically practiced by patients with anxiety disorders. With breathing exercises, enhance your breathing technique and slow down your breathing rhythm. A button for instant start of breathing exercises which aim to help you ease panic attacks. Smooth notifications to remind you of four 5-minute long breathing exercises to perform every day. Regulated breathing practices treat anxiety disorders, PTSD, depressive disorders, etc. Also recommended to sportspeople to balance breathing rhythm and increase lung capacity. By saving your exercises and anxiety episodes track your progress and witness your improvement. Slow Breathing – don’t panic. Regular, daily practice of slowing down your breathing (at least four times a day) will help you realize you can control your breathing rhythm. Thus you will be able to prevent a panic attack before the first symptoms appear. 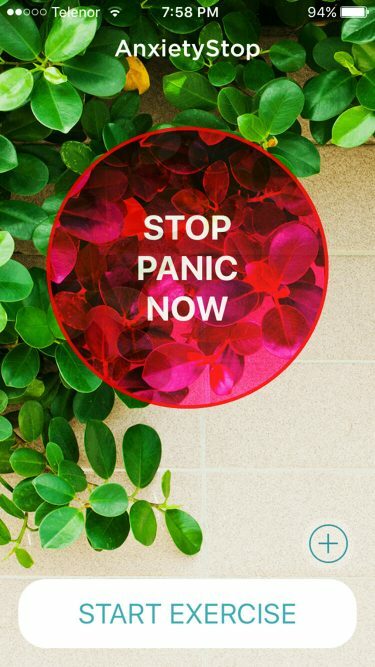 Act when the first symptoms appear and stop the panic attack. the more you practice, the higher the possibility to prevent the attack. Breathing exercises should be regular – four times a day, every day. Each exercise has three phases, lasting about 5 minute altogether. Exercises consist of alternate periods of breathing and not breathing, clearly shown in instructions. The best app for anxiety. With breathing exercises, you will enhance your breathing technique, slow down your breathing rhythm and increase your lung capacity. As a result, the capacity of oxygen saturation increases, which will help reduce the anxiety. 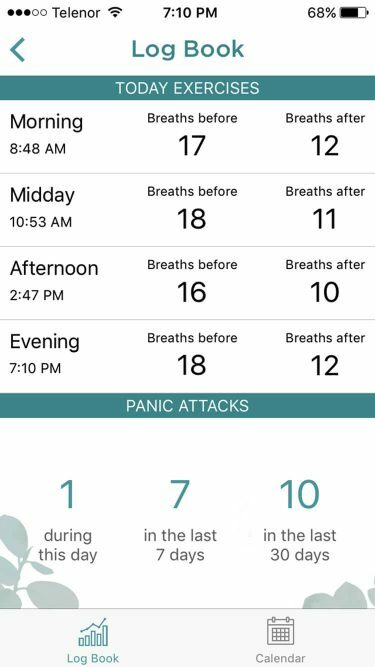 Besides regular breathing exercises app has the STOP PANIC NOW button to help you deal with any sudden episode of panic attack. Press this button when you feel it’s coming. Use this button when you need first aid in panic attack. While using Stop Panic you can log intensity, description, etc. My therapist recommended this application to me. Really easy to use with great effects. I recommend using it at least four times a day. A serious app with clear and simple instructions for powerful effects. I could see something positive was happening after no more than few days. This is exactly what I needed. I had been looking for an app with specific breathing exercise, and this it. No need to search anymore. I had big issues with anxiety and, along with psychotherapy, it helped me to overcome my fears and problems. Thank you! I love this application. I just wish that they i found it earlier so I could start my healing process sooner. I recommend it to everybody. Amazing application! Can’t describe how calmer I have been since I started using this app. Thank you so much for creating it for people with anxiety problems! Just download the app from Apple Store. 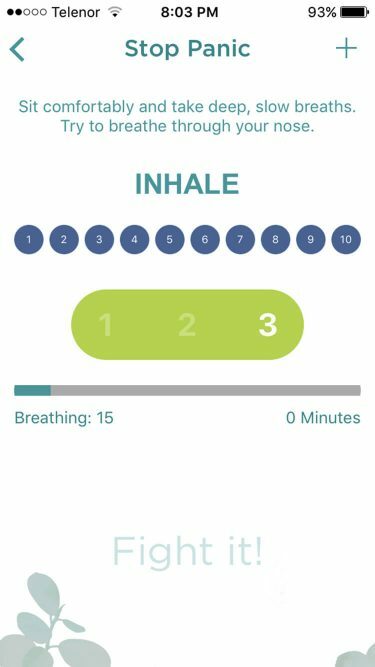 Simple, nice and user-friendly application of the breathing exercises.